So what's the deal with our princess sessions? I'm glad you asked. I've put together a list of FAQ that should answer all of your questions about how our princess sessions work. 7 months (baby must be sitting on their own), to 7 years old. Where are the princess sessions done? We accept, cash, cheque, Visa, MasterCard. We do all ordering immediately following the session. All of the images in the packages are the photographers choice. 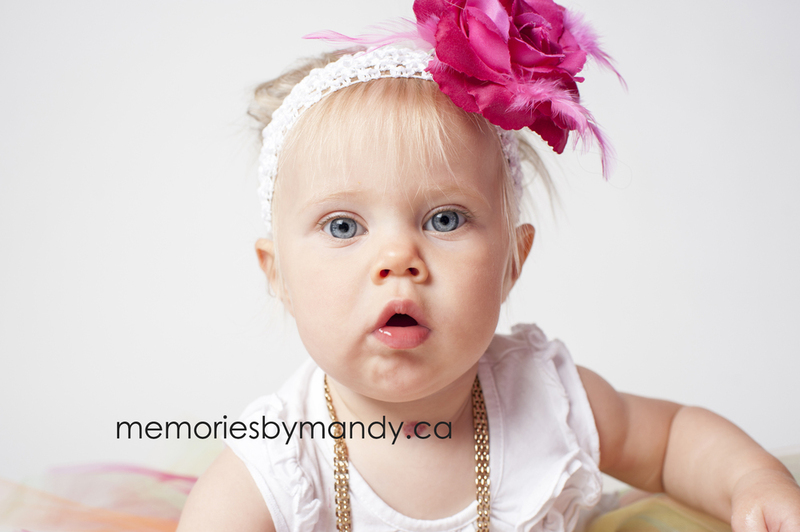 Not to worry, the photographer has a ton of experience in what poses/expressions moms like best, as she is a mom herself! She will only choose the best images from your session. Please note you are not obligated to order anything beyond your free 5x7 framed print that comes with the session. I have 2 (or more) princesses, can they combine their session? Please contact us to discuss our options for sister princesses. Email Mandy: memoriesbymandy@shaw.ca to book your appointment. Spaces are limited. You can find last year's princess sessions HERE. 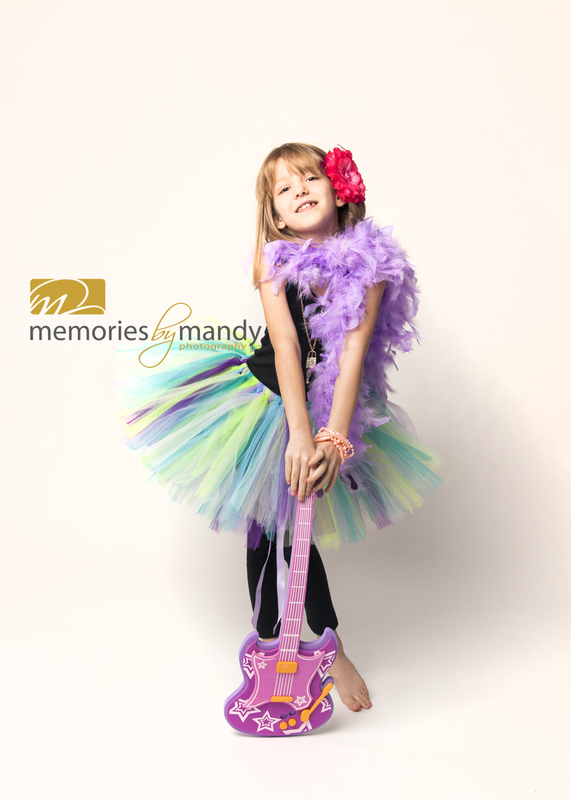 Please visit our Princess session Gallery HERE. Last year we had another set of princess sessions. It was so much fun! Let us paint the picture for you. "You're 4 years old, you come into our studio wearing your favorite pink leggings and your mom has done your hair so pretty. 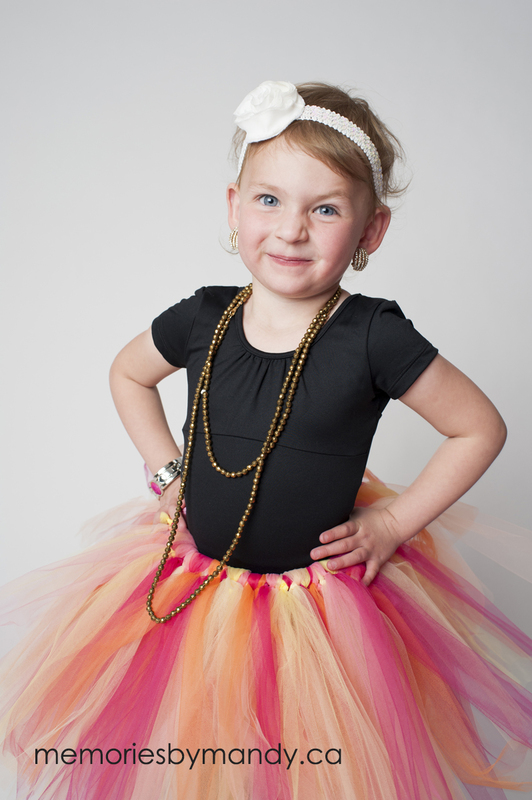 You walk into the studio and there are tutu's, necklaces, hair clips, bracelets and even clip on earrings! You get to choose anything you want to wear!!! You are so excited, but a little nervous!!! 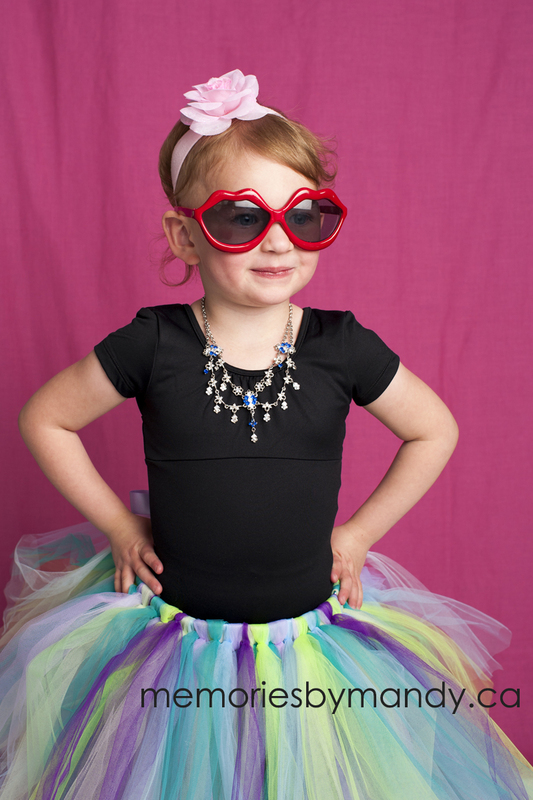 There are so many choices, it's hard to choose, but you pick the pink tutu, the pink necklace and the gold earrings. You choose to wear every single bracelet there is, because it's hard to choose just one! Your nerves have turned into excitement, because you love to dress up. Mandy is so nice and puts on loud music. You love to dance, so you just start to dance. There are big lights there that flash and you feel just like a model, dancing with Mandy, laughing and playing with the toy guitar. 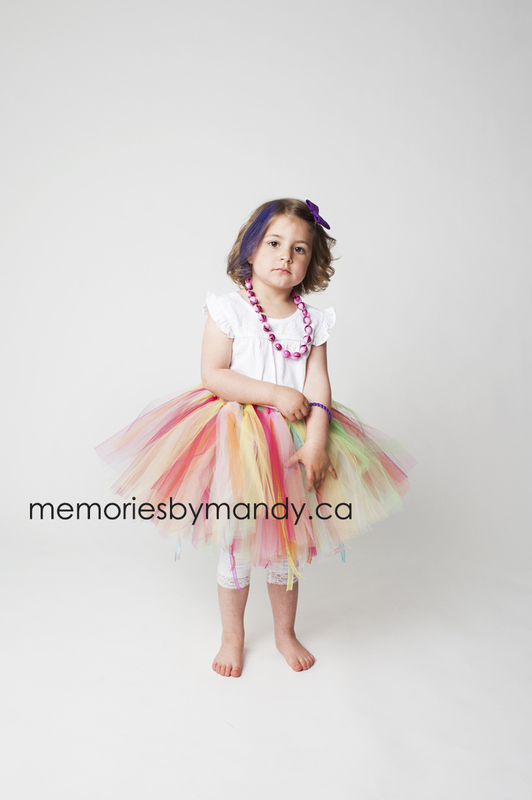 Mandy says you can change if you want, so you pick the brown tutu with the green necklace and the huge white flower for your hair. You feel so special that you can choose anything you want to wear. The loud music continues to play and Mandy starts acting really goofy which gets you giggling like crazy! Mandy is so funny! Before you know it, it's time to take everything off and as much as you don't want to, its time to go. It's OK though, because Mandy gives you a crown that you get to take home and a treat!!!! You love treats!!!! You go home, and think about how much fun that was and you ask mom if you can come back tomorrow to do it all over again. Your mom gets really excited a couple of weeks later because some pictures arrive. 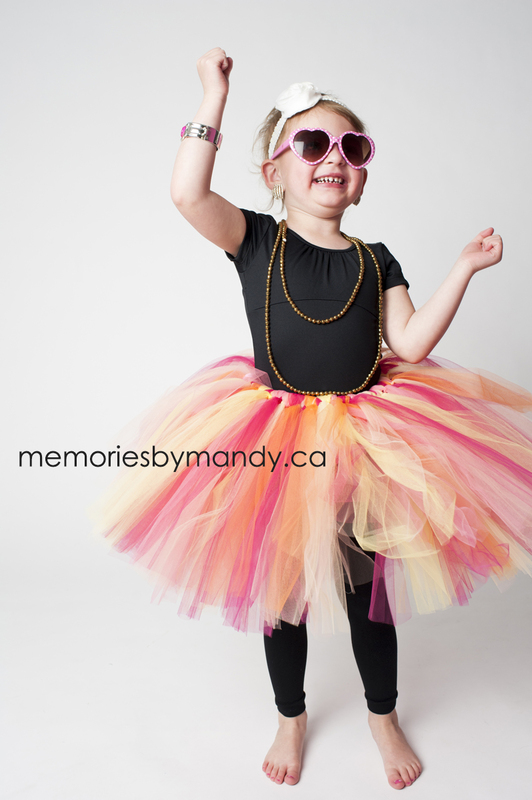 It's images of you, in the tutu's, dancing, laughing, playing and having a blast! Your mom even lets you put a picture up in your room. You ask your mom again and again to go back to Mandy's studio so you can dress up again and play. Your mom says, maybe next time. You can't wait!!!!" Now tell me, does that sound like the ultimate dream of a little girl? I think so! 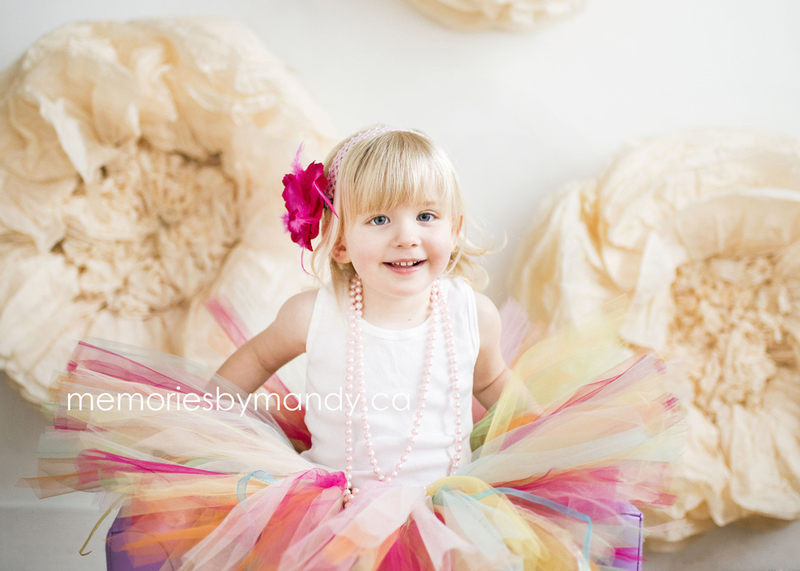 Here are some images from our last round of princess sessions!